A molecular sieve is a material with pores (very small holes) of uniform size. These pore diameters are of the dimensions of small molecules, thus large molecules cannot be absorbed, while smaller molecules can. Many molecular sieves are used as desiccants. Some examples include activated charcoal and silica gel. The diameter of a molecular sieve is measured in ångströms (Å) or nanometres (nm). According to IUPAC notation, microporous materials have pore diameters of less than 2 nm (20 Å) and macroporous materials have pore diameters of greater than 50 nm (500 Å); the mesoporous category thus lies in the middle with pore diameters between 2 and 50 nm (20–500 Å). 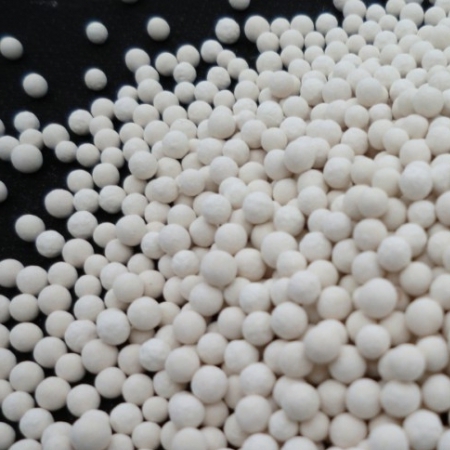 Molecular sieves can be microporous, mesoporous, or macroporous material. Halloysite (endellite): Two common forms are found, when hydrated the clay exhibits a 1 nm spacing of the layers and when dehydrated (meta-halloysite) the spacing is 0.7 nm. Halloysite naturally occurs as small cylinders which average 30 nm in diameter with lengths between 0.5 and 10 micrometres. Molecular sieves are used as adsorbent for gases and liquids. Molecules small enough to pass through the pores are adsorbed while larger molecules are not. It is different from a common filter in that it operates on a molecular level and traps the adsorbed substance. For instance, a water molecule may be small enough to pass through the pores while larger molecules are not, so water is forced into the pores which act as a trap for the penetrating water molecules, which are retained within the pores. Because of this, they often function as a desiccant. A molecular sieve can adsorb water up to 22% of its own weight. The principle of adsorption to molecular sieve particles is somewhat similar to that of size exclusion chromatography, except that without a changing solution composition, the adsorbed product remains trapped because, in the absence of other molecules able to penetrate the pore and fill the space, a vacuum would be created by desorption. Molecular sieves are often utilized in the petroleum industry, especially for the purification of gas streams and in the chemistry laboratory for separating compounds and drying reaction starting materials. For example, in the liquid natural gas (LNG) industry, the water content of the gas needs to be reduced to very low values (less than 1 ppmv) to prevent it from freezing (and causing blockages) in the cold section of LNG plants. They are also used in the filtration of air supplies for breathing apparatus, for example those used by scuba divers and firefighters. In such applications, air is supplied by an air compressor and is passed through a cartridge filter which, dependent on the application, is filled with molecular sieve and/or activated carbon, finally being used to charge breathing air tanks. Such filtration can remove particulates and compressor exhaust products from the breathing air supply.